Johnson Seun Olawale a.k.a Olapraise is finally here with his long awaited song IGWE ‘ Ft Precious Sam Ayodele a song of praise to our maker. The anointed gospel minister, songwriter , Praise & worship leader a dynamite ready to explode, is gearing up for the new release of his highly anticipated and long awaited project in less than few month, fully loaded. Olapraise has also been doing so well with his music at events and concerts, this is a song you can never get tired of cos Oluwa is fully involved and can only be praised. 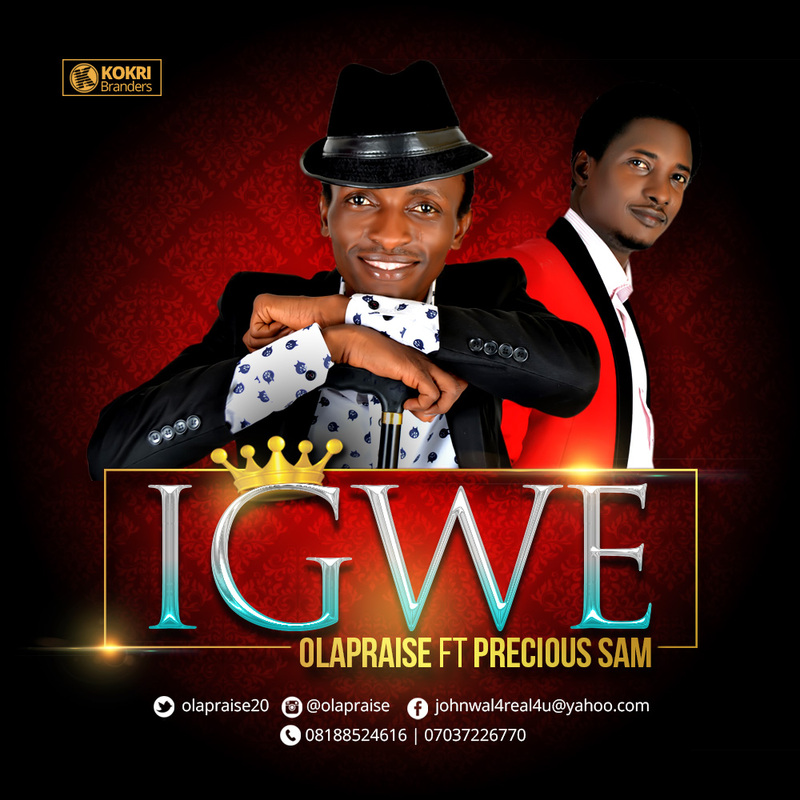 the song IGWE’ is produced by PRECIOUS MUSIC. Feel JESUS…. Put on your shoes and let’s praise our king Igwe.